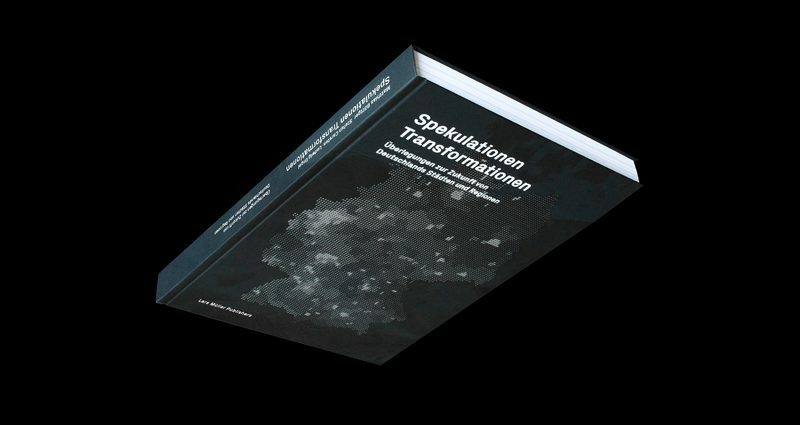 The book Speculations Transformations – Thoughts on the Future of Germany’s Cities and Regions (Lars Müller Publishers) we spent more than 3 years to design, facilitates a better understanding of the present, addresses pending spatial transformations and speculates about their effects. 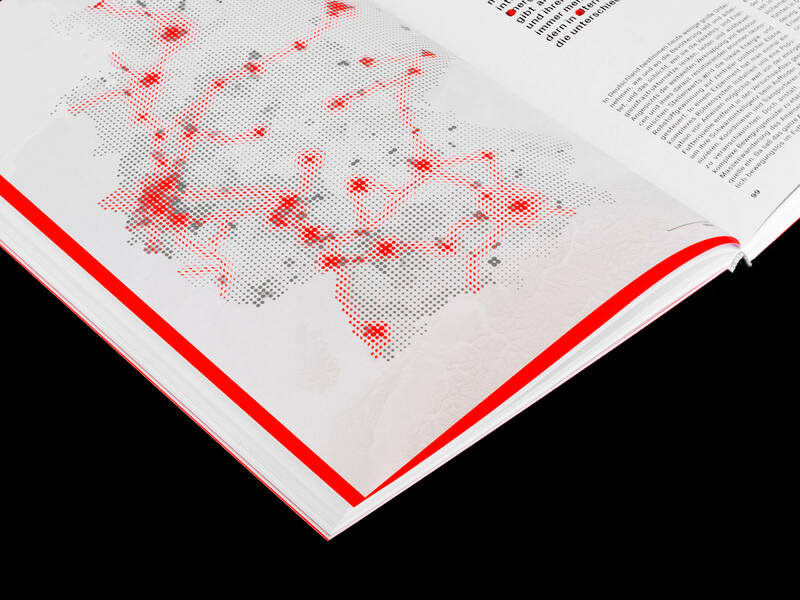 The atlas of Baukultur is composed of texts, maps and photographies that drafts scenarios about the spatial, natural, urban, architectural, and social environments in which we might live in 2050, after having faced economic and infrastructural transformations. 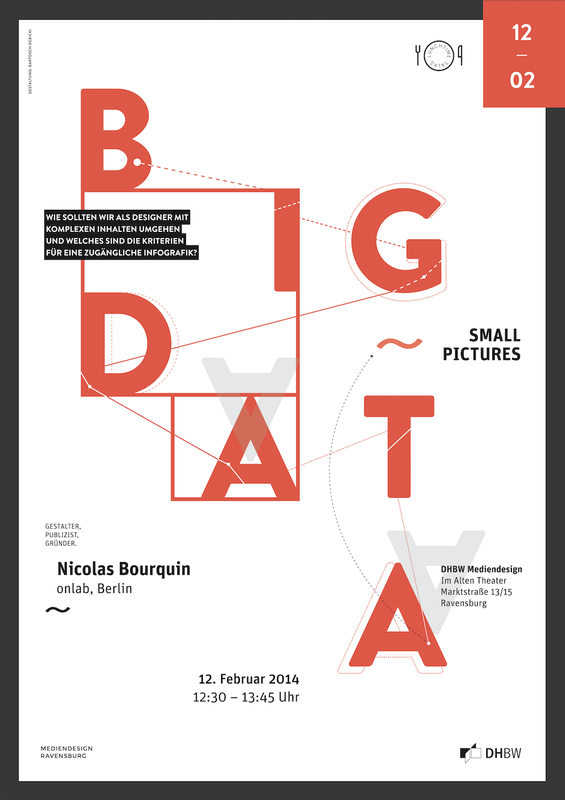 – Nicolas Bourquin is invited at the University of the Arts and Design in Halle, Germany to talk about his approach, working method and professional practice in the field of Information Design. • Presentation of the new book of Joël Tettamanti. The project revives the photo book as a medium in times of digitalisation. “Works 2001–2019” is a professionally published book combined with print-on-demand production including various types of editions, thus enabling customers to participate in the production process by selecting photos for their own edition. 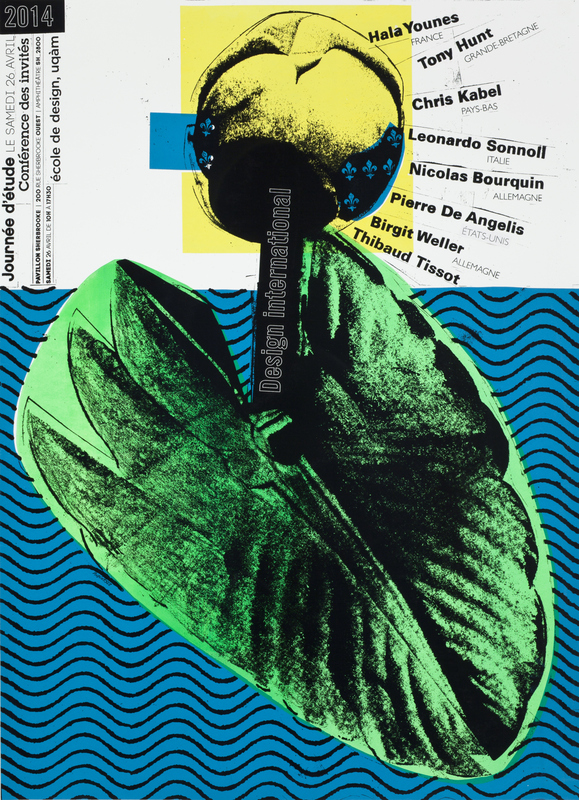 Joël Tettamanti – Works 2001-2019 Teaser from onlab on Vimeo. Nicolas is invited to hold a public lecture and a participate to a workshop about cartography and cartographical representation in the context of the project ‘Planetary Urbanization in a Comparative Perspective’. 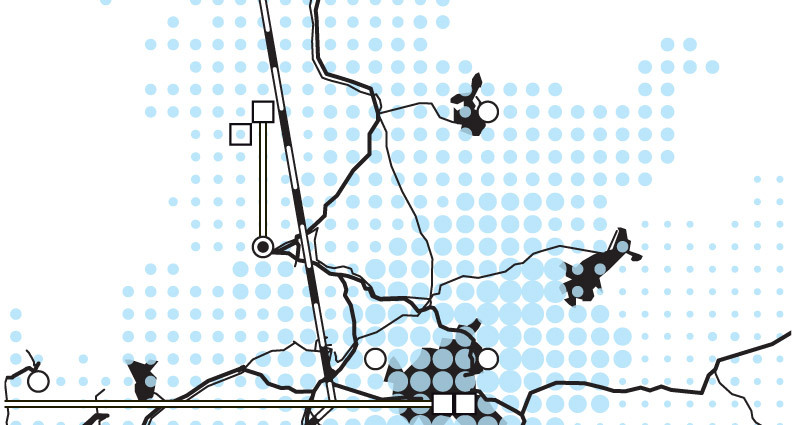 The research project consists of an experimental comparison of urbanisation processes in 8 urban mega regions. It investigates the sharp increase in speed, scale and scope of urbanisation as well as the surprising forms of difference, diversity and variation within and between urban areas. (Pearl River Delta, Tokyo, Kolkata, Istanbul, Lagos, Paris, Mexico City and Los Angeles). The major aim of the project is to develop adequate definitions of these processes, which means to capture both global and local dimensions alike. Tuesday, July 1, 2014, 2 pm. – 7 pm. Cartographic representations are today widely applied in architecture, urban design, planning, and social sciences. However, moments of critical reflection on methodological foundations,and political consequences of mapping are rare. 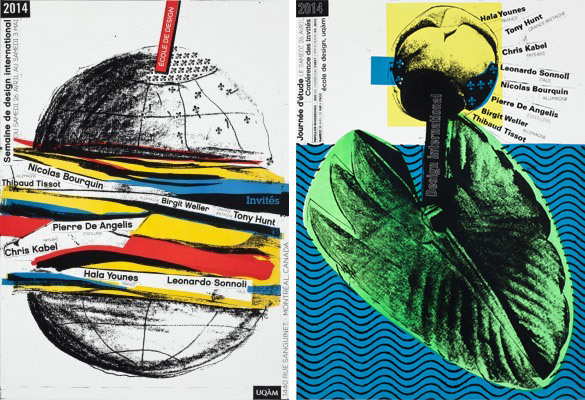 This transdisciplinary symposium has the aim to engage a critical discussion on mapping and cartography, by inviting four specialists in geography, cartography, visual representation, arts and graphic design for a presentation of their experiences in mapping. The lecture and workshop will particularly focus on mapping practice as a device for critical reflection of urbanization processes and investigate the notions of time, clarity and intuitive imprecision in the maps. – discussion of different forms and means of cartographic representation and their effects. 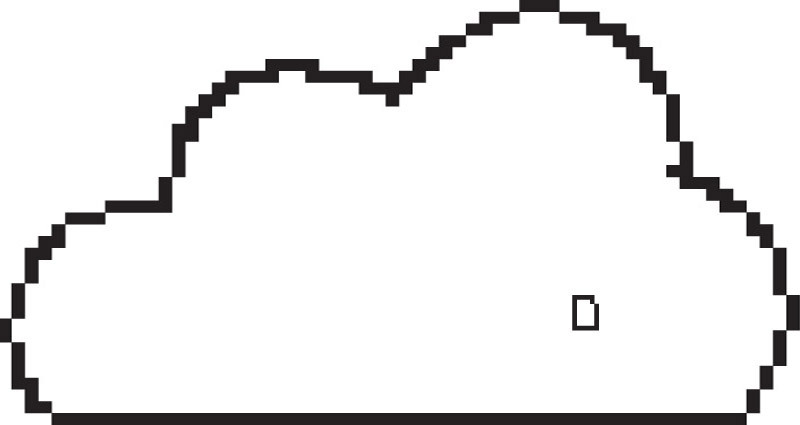 – hierarchies of representation (e.g. center of the map, projection, orientation). 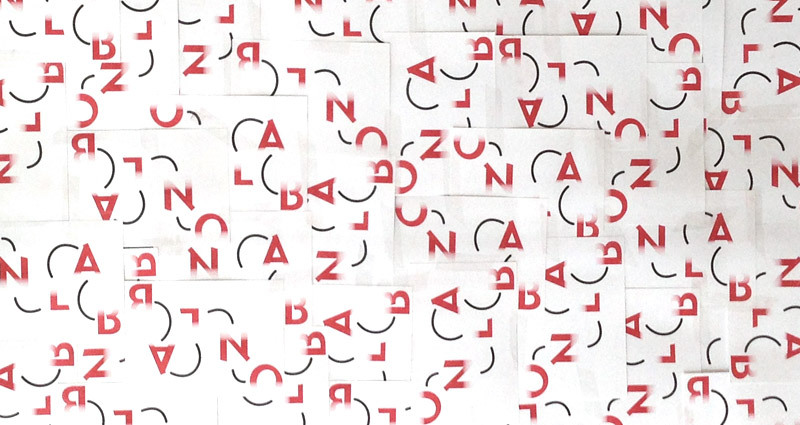 Nicolas Bourquin and Thibaud Tissot are invited to participate to the “International Design Week” to be held at the School of Design at UQAM in Montreal, Canada. Workshop with Nicolas and Thibaud from April 28th – May 3rd. 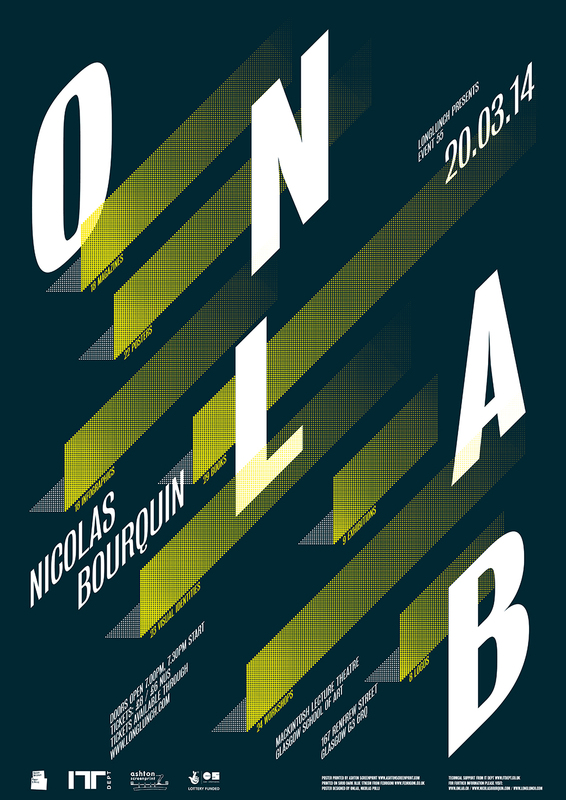 Nicolas Bourquin is invited by the Master Design Communication of the ZHdK Zurich University of the Arts to talk about onlab’s work, working method and professional practice in the field of Editorial Design, Visual Identity, Infographics, Knowledge Transfer and Information Processing. The conference is taking place on Wednesday April 16th. at 5.30 pm. at the ZHdK, Zurich University of the Arts, Ausstellungstrasse 60, room SQ504, 5th. floor. 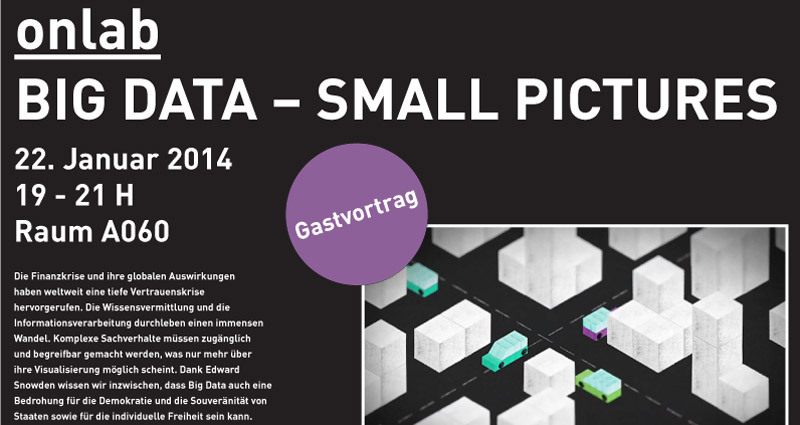 The event is for the Master and Bachelor students of the ZHdK and open to the public. Unter der Veranstaltungsreihe SPOT stellen wir interessante und namhafte Designer aus der Praxis ins Rampenlicht und hören gespannt ihren Erfahrungen aus dem Designalltag zu. 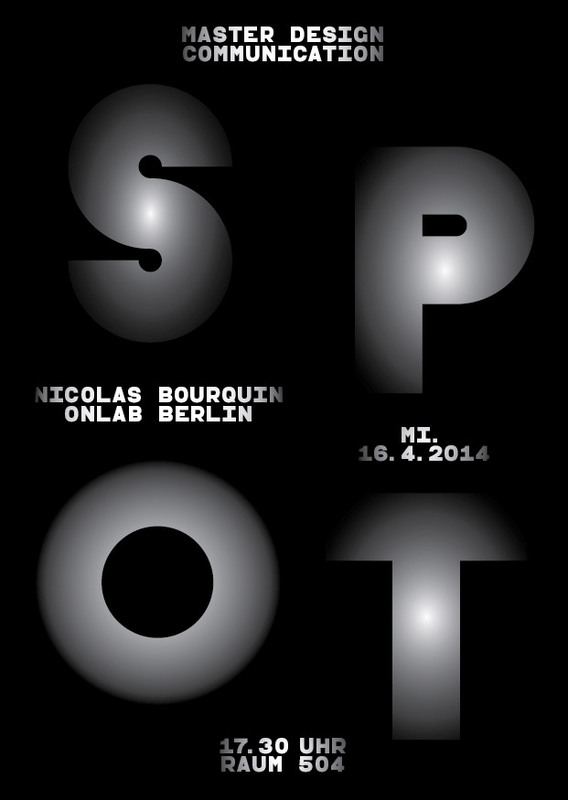 Nicolas Bourquin is talking at the first Scottish LongLunch of 2014 on Thursday, March 20. Tickets available soon: £8/£6 Sold out! 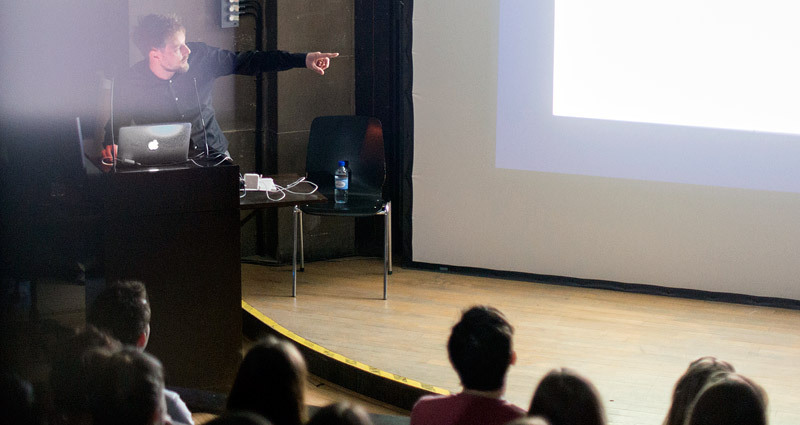 LongLunch organises informal lectures/talks/events from respected individuals and companies in the design industry. 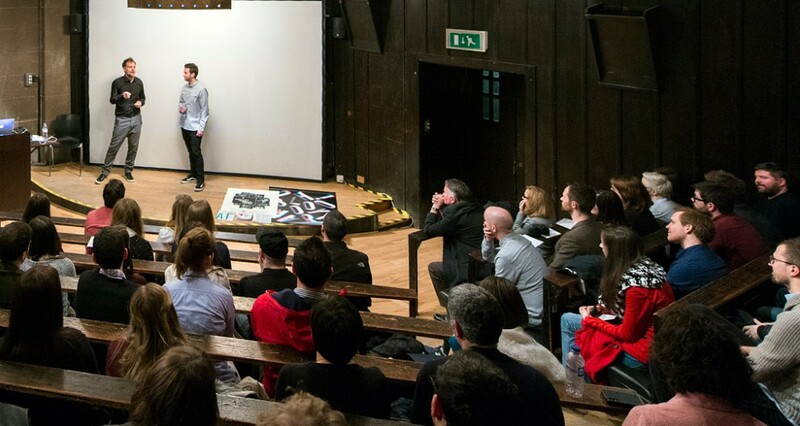 LongLunch has been running talks since January 2003, and arranged over 50 talks in the UK. 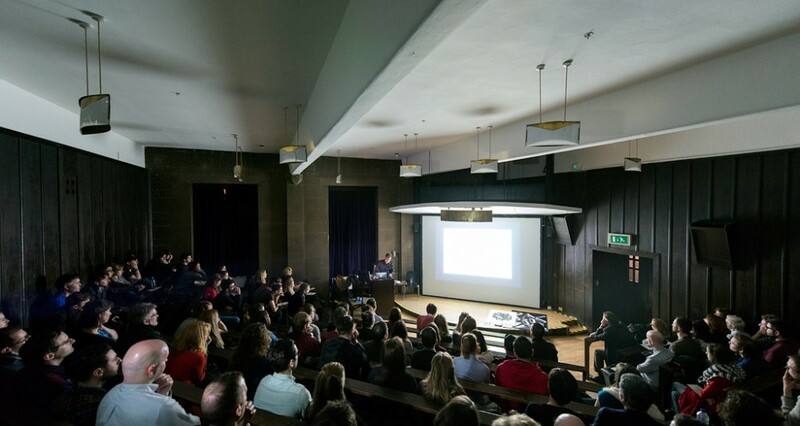 The events are normally located in Edinburgh, Glasgow and London. Die Finanzkrise und ihre globalen Auswirkungen haben weltweit eine tiefe Vertrauenskrise hervorgerufen. Die Wissensvermittlung und die Informationsverarbeitung durchleben einen immensen Wandel, der sich auch in der Arbeit des Grafikdesigners niederschlägt. Komplexe Sachverhalte müssen zugänglich und begreifbar gemacht werden, was nur mehr über ihre Visualisierung möglich scheint. 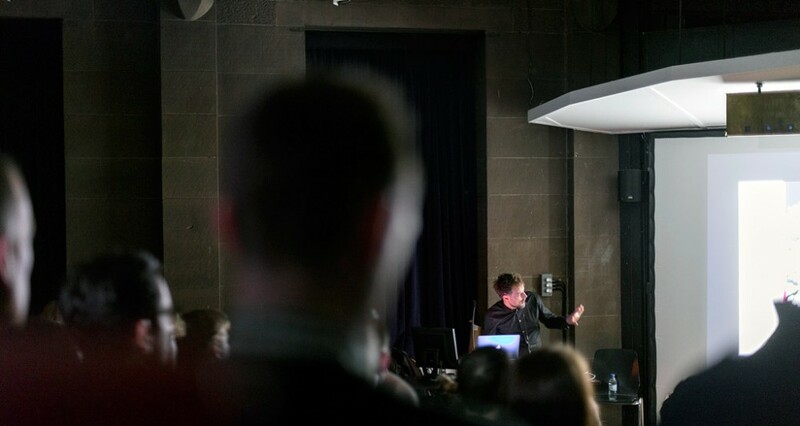 Dank Edward Snowden wissen wir inzwischen, dass Big Data auch eine Bedrohung für die Demokratie und die Souveränität von Staaten sowie für die individuelle Freiheit sein kann.. Die Aufgabe eines Designers ist die fundierte Auseinandersetzung mit diesen vielschichtigen Informationen und deren Transformation. Wie aber gehen wir mit den komplexen Inhalten um und welches sind die Kriterien für eine zugängliche Infografik? Die Finanzkrise und ihre globalen Auswirkungen haben weltweit eine tiefe Vertrauenskrise hervorgerufen. Die Wissensvermittlung und die Informationsverarbeitung durchleben einen immensen Wandel, der sich auch in der Arbeit des Grafikdesigners niederschlägt. Komplexe Sachverhalte müssen zugänglich und begreifbar gemacht werden, was nur mehr über ihre Visualisierung möglich scheint. Dank Edward Snowden wissen wir inzwischen, dass Big Data auch eine Bedrohung für die Demokratie und die Souveränität von Staaten sowie für die individuelle Freiheit sein kann. Unsere Aufgabe ist die fundierte Auseinandersetzung mit diesen vielschichtigen Informationen und deren Transformation. Wie aber gehen wir mit den komplexen Inhalten um und welches sind die Kriterien für eine zugängliche Infografik? Der Vortrag ist eine Kooperation zwischen dem Fachgebiet für Städtebau und Urbanisierung, Prof. Jörg Stollmann, und dem Fachgebiet für Städtebau und nachhaltige Stadtentwicklung, Prof. Raoul Bunschoten. Der Vortrag ist organisiert von Anne-Katrin Fenk, Mitbegründerin des MOD Institute Bangalore/Berlin. Nicolas Bourquin, Gründer und Kreativdirektor des Schweizer Grafikstudios onlab in Berlin, führt anhand von Fallbeispielen in das Thema des Workshops ein. Im Anschluss an seinen Vortrag wird er eine konkrete Aufgabe stellen, die in einem begrenzten Zeitraum auf experimentelle, spielerische Weise umgesetzt werden soll. Der Umgang mit verflochtenen Datenstrukturen und eine schnell erfassbare Visualisierung stehen dabei im Fokus. Zum Abschluss findet im Plenum eine Feedbackrunde statt. • Talk in the panel “Principles of Information Design” at 6:00 pm. at the “Information Design and Data Visualization Boston 2013” symposium at the Northeastern University in Boston. Information Design and Data Visualization Boston 2013 is a one-day symposium featuring exhibition tours, movie screenings and presentations by 20 distinguished speakers, on topics ranging from wind maps to the visualization of biological and urban data. The event is taking place on June 20, from 11:00 am-9:00 pm, at Northeastern University in Boston. It is open to public and free. RSVP recommended. 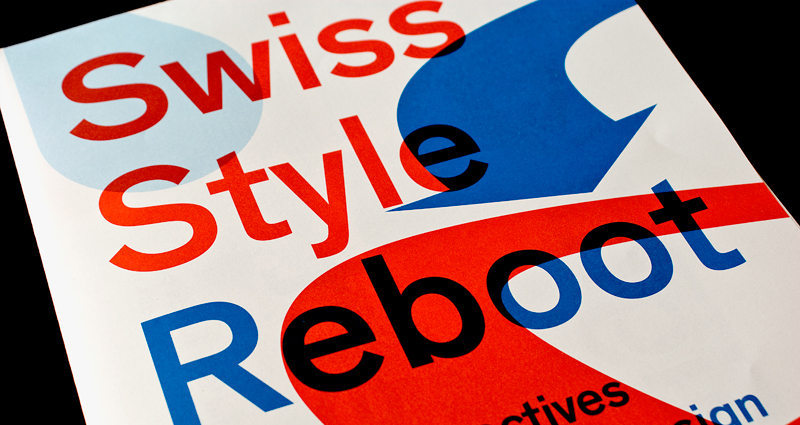 Information Design and Data Visualization Boston 2013 was developed out of SwissInfographics’ exhibition project Swiss Style Reboot. 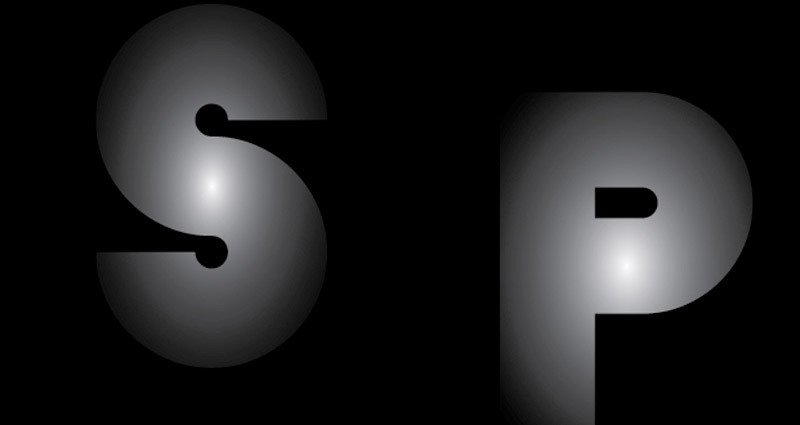 This origin is embodied by the symposium’s logo: the SwissInfographics cross turned into a network diagram. 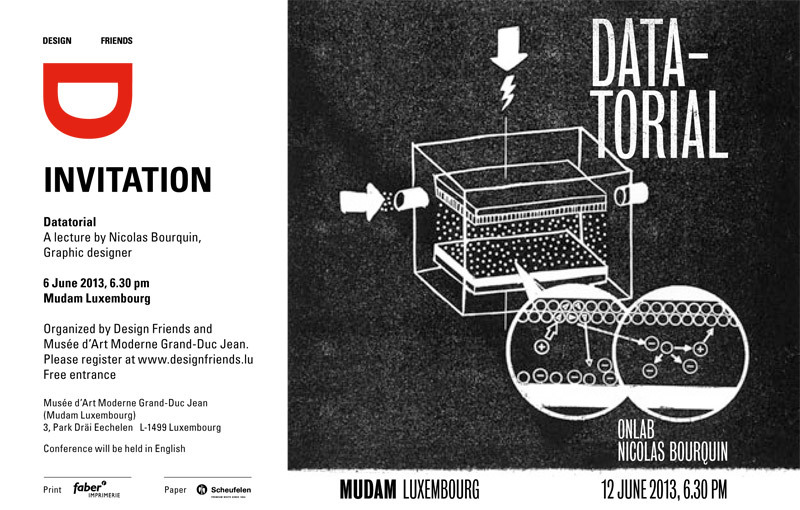 • Nicolas Bourquin is invited to give a conference at Mudam, Musée d’Art Moderne Grand-Duc Jean in the context of the designfriends event series. Wednesday June 12th, 6:30 pm. – 9:00 pm. The aftermath of the financial crisis provoked a deep confidence crisis on a global level. The strategic, creative decisions of media corporations and companies are more and more led by doubts or anxiety. Therefore, companies and institutions seek new methods to visualize their activities or processes, and consequently advocate for more transparency. However, they struggle to provide the necessary financial resources to be able to develop high-quality, innovative solutions for the masses. So far, most of the commissioned infographic projects did not prove to be financially viable. In spite of (and because of) this situation, we are involved in a rethinking process to understand the differences between earlier forms of collaboration and more sustainable contemporary working methods. Design is a narrative that can change how people approach the world. Save the date and register! Am 16. Mai wird Nicolas Bourquin zu Gast sein! Der Designer, Publizist und Mitbegründer der Grafikdesign-Agentur onlab kommt nach drei Jahren erneut zu den Stilvorlagen. onlab steht vor allem für innovatives Editorial Design, stellt sich aber zunehmend den Herausforderungen des Informationsdesigns. Transparenz und Anschaulichkeit schaffen Vertrauen und werden immer wichtiger in der Kommunikation von Unternehmen. Dieses Arbeitsfeld verlangt vom Designer ein interdisziplinäres Verständnis, das Qualität und Synthese von Informationen und deren Darstellung unmittelbar beeinflusst. Onlab verbindet die ästhetische Inszenierung komplexer Inhalte mit didaktischer Funktionalität und – das ist das Besondere – einladender Emotionalität. Nicolas Bourquin wird uns anhand neuer Projekte einen Blick in den aufwändigen und zeitintensiven Arbeitsprozess des Gestaltens von Informationen gewähren. 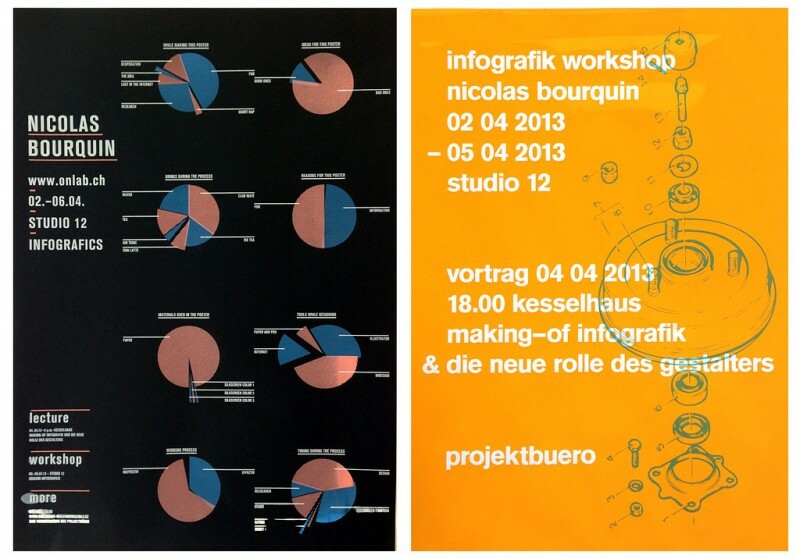 • Nicolas Bourquin is invited by the Muthesius Academy of Fine Arts and Design in Kiel (Germany) to present onlab’s work in the field of infographics in the context of a 4 days Workshop with the Bachelor and Master students. The lecture: “Making-of – Infografik und die neue Rolle des Gestalters” is open to the public and will take place at the “Kesselhaus” at 6pm. 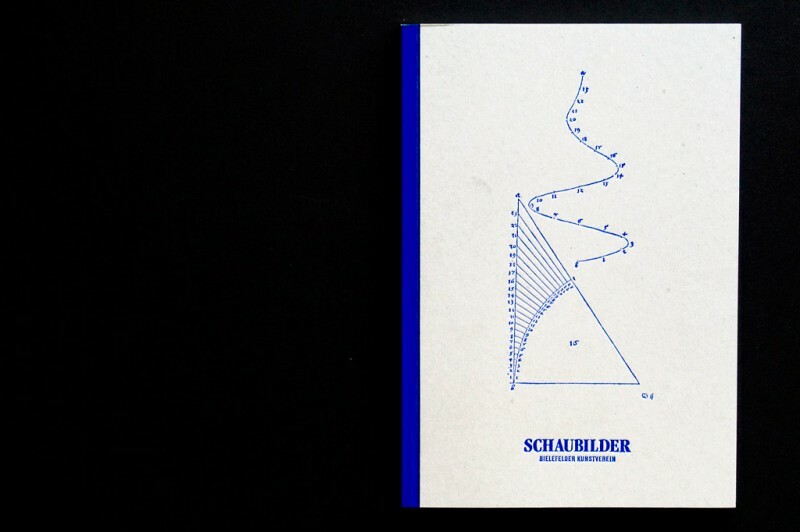 • Nicolas Bourquin is invited by the Bielefelder Kunstverein to present onlab’s work in the field of infographics in the context of the current exhibition “Diagrams” that enquires the worlds of images and the strategies of visualisation in art.